The opening cocktail took place on Saturday, February 2nd with Mrs. Sanil Mercedes, Director of the Altos de Chavón Gallery, welcoming all the guests to the exhibition “Two in One”. Mr. Stephen Kaplan, Rector of the Chavón School of Design, thanked the guests for their support and traveling from different parts of the country to be part of this one of a kind presentation. Mrs. Delia Blanco, art critic, member of the International Arts Critic Assosiation, IACA, was in charge of explaining to those present the concept that motivated and gave rise to the exhibition-tribute, in which sculpture and artistic portrait photography have been combined in black and white. The personalities that make up the visual richness of this exhibition are: Sr. Leonor Gibb, Mrs. Mary Pérez de Marranzini, Mrs. Margarita Copello de Rodríguez, Ms. Soledad Alvarez de Vega, Ms. Melba Segura de Grullón, Mr. José Luis Corripio – Pepín, Mr. Julio Brache Arzeno, Mr. Gottfried Bruhn, Mr. Luis Mejía Oviedo, Mr. José Armas, Mr. Félix García and Mr. Freddy Ginebra. 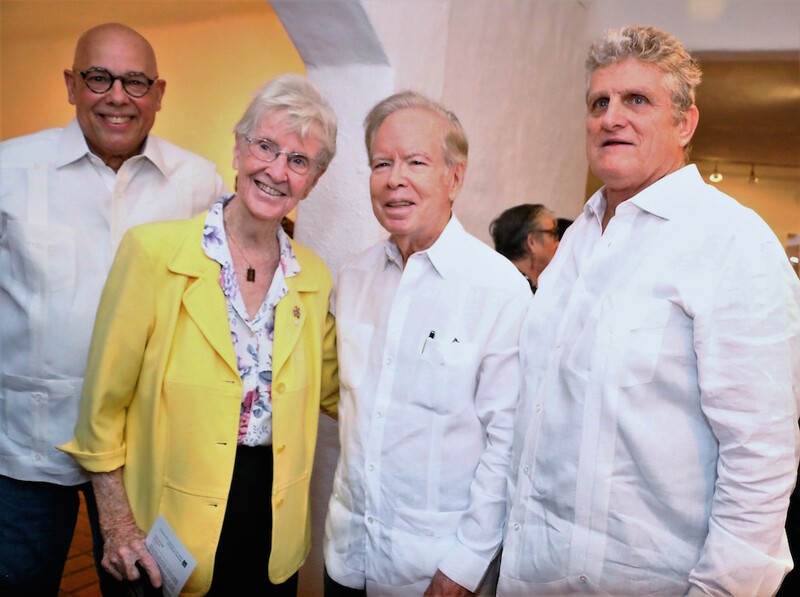 Mark Lineweaver – renowned sculptor and teacher at Chavón School of Design -, and Herminio Alberti León – renowned artistic photographer, thanked the honourees for having agreed to be part of this project, and went on to unveil each of the pieces. 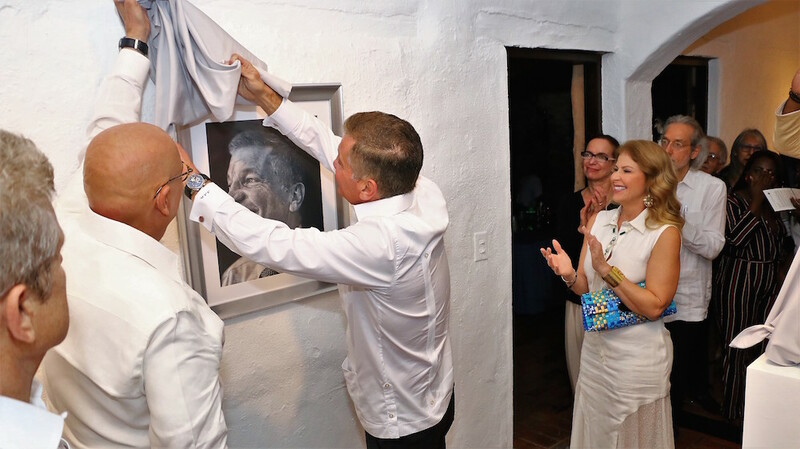 This exhibition will generate funds for the Altos de Chavón Cultural Center Foundation and will remain open until March 3. The exhibition is being supported by Banco Popular Dominicano, Casa de Campo and the firm Álvarez & Sánchez. The Altos de Chavón Cultural Center Foundation, located in Dominican Republic, is a non-profit cultural and educational institution. Since 1983, it has been dedicated to the creation of a multifaceted arts community that includes visual arts, crafts workshops, performing arts and teaching programs. With its other components—The Regional Museum of Archaeology, the Artists in Residence program, The Gallery, and The School of Design—The Foundation has contributed to the enrichment of the intellectual, artistic, and cultural panorama of the Dominican Republic for more than 30 years. The Foundation’s work has reached many, with impressive results. Its diverse educational and arts programs, gives Altos de Chavón the cultural dynamism that nourishes and stimulates the creativity of the designers and artists of today and tomorrow. 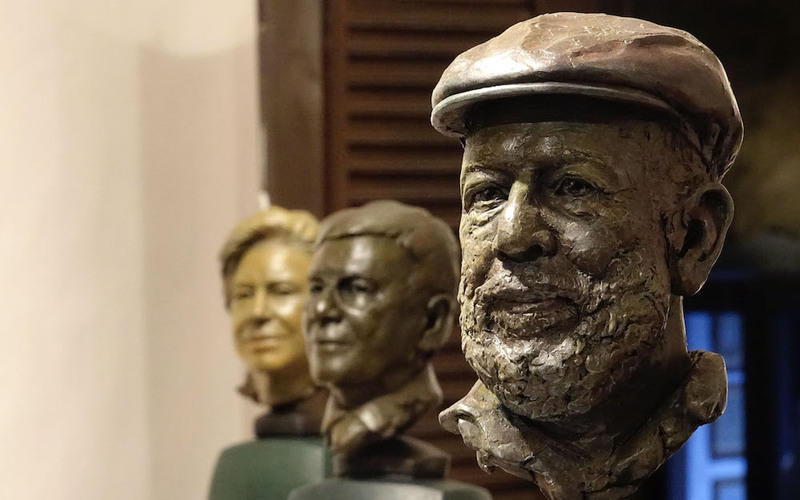 In 2013, The Altos de Chavón Cultural Center Foundation celebrated 30 years of continuous and invaluable contributions to art and culture in the Dominican Republic giving each artist the opportunity to find their individual expression through constant research and development.